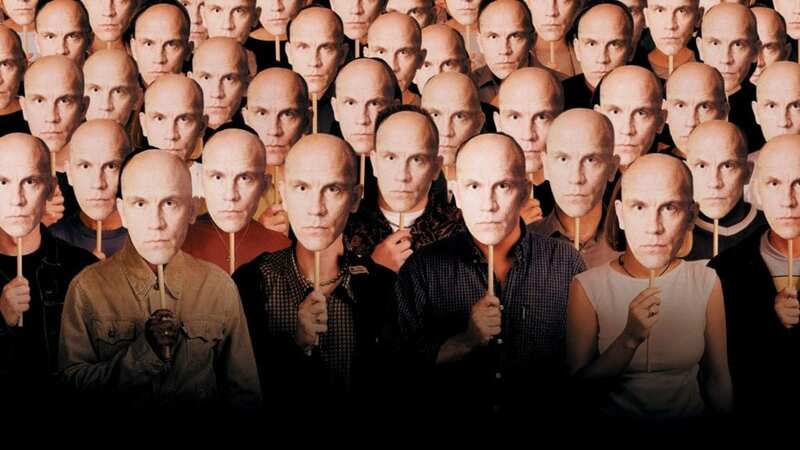 It’s true that genuine originality has always been a rare quality in Hollywood, and while Being John Malkovich actually has some fairly obvious influences, it’s fair to say that it’s one of the more striking mainstream movies of the past two decades. It announced the arrival of two major film talents in director Spike Jonze and writer Charlie Kaufman – both making their feature film debuts – and delivered the unexpected role of a lifetime for its titular star, already a double Oscar nominee and hugely respected stage and screen star. “But why couldn’t it be Being Tom Cruise?” complained studio execs, sceptical that such an oddball movie could make money without an A-lister on the poster. Malkovich himself had similar misgivings, fearing that whether the movie tanked or made millions, the role would haunt him for the rest of his career. But Tom Cruise wouldn’t have been half as funny. For starters his surname isn’t rhythmically pleasing enough to have made the iconic restaurant scene fly, not to mention the role required somebody a little further down the celebrity ladder; somebody well-known enough to have name recognition, but not famous enough that the average person could instantly recite large portions of CV. As one of the quintessential “that guy” actors, this was quite literally the role Malkovich was born to play. Much like Kaufman and Jonze’s respective subsequent works Eternal Sunshine of the Spotless Mind and Her, Being John Malkovich succeeds by keeping the mechanics behind its central conceit deliberately vague. There’s no particular explanation as to exactly why a hole in the wall of an oddly proportioned filing office would act as a portal into the mind of a Hollywood celebrity, and as an audience we don’t need one – it’s just a great idea for a story. Similarly, the cast of characters don’t waste much of our time or theirs asking these questions – they simply make the decisions they make based driven by the internal logic they happen to be operating under, whether that be a frustrated puppet master’s desire to be taken seriously, a neglected wife’s ambiguous gender identity or an old man’s quest for eternal life. The best magical realism doesn’t require grinding exposition or interrogation to keep an audience onside, something too many sci-fi and fantasy movies forget these days. Beyond The Box Set is available from all good Podcasting platforms including iTunes, Stitcher, aCast and Podbean. Click the links at the top of this blog to find our Being John Malkovich episode, and hit subscribe to hear a new episode every Friday morning. We’d love for you to leave us a review if you’re feeling especially generous – it’s the best way to help us to attract new listeners. You can also contact us via our social media channels on Facebook, Twitter, Instagram, Tumblr and Google+, or by leaving a comment underneath this very blog post.